The Finnish Food Safety Authority has set up a restriction zone in the affected area to help prevent the spread of the H5N8 outbreak. 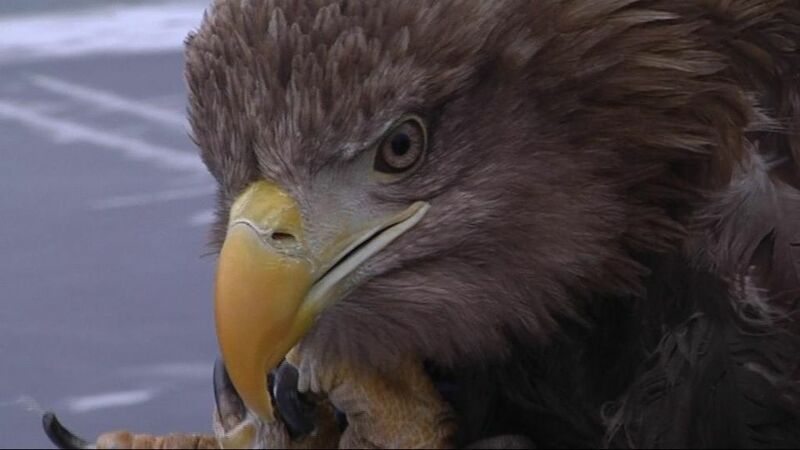 A dead white-tailed eagle was found in the western coastal town of Rauma on Friday, and its cause of death has now been verified as the H5N8 virus. The strain of avian flu has high pathogenicity, meaning that it could wreak havoc on the wild bird population in the area. This is the first confirmed instance of avian flu on the Finnish mainland. The virus has previously been recorded in the wild in Åland, on the island of Nagu and in an aviary in Mariehamn. Many poultry farms dot the area where the eagle was found. The Finnish Food Safety Authority (Evira) has established a restriction perimeter 10 kilometres in radius from the site. The transport of poultry and associated products will be restricted inside the zone. A municipal veterinarian is currently inspecting the farms inside the perimeter. Evira inspector general Liisa Kaartinen says the effects of the H5N8 virus could be devastating if it were to spread. "If the disease goes unchecked in a large poultry farm, all the birds will have to be put down. It would be a huge strain on the local industry," Kaartinen says. No humans have fallen ill from the H5N8-type avian flu as yet. The risk of infection in humans is minute, and usually requires close contact with an infected bird.